This is how non-dual satsang teachers like Papaji work. ( papaji awakens someone in 4 minutes - link ). They get people to recognise that the state they are temporarily experiencing is what they are looking for. This awakening is interesting. Nondual teachings styles and students experiences are obviously different than mindfulness of breathing or noting practice. I think its fair to say that different practices create such different results that we shouldn't compare across traditions. It's also uncanny how there are similarities across traditions because we're all human beings. So obviously cross-teaching-map comparisons are fraught with problems. So with all of those caveats in place. I couldn't help but suspect that the closest cross-walk of the woman's experience to "insight nanas" would be an A&P followed by Dissolution. That energy, pleasure, joy, and legitimate insight (A&P), which is followed closely by a deep deep peaceful resting (Dissolution). I wouldn't be surprised if a dark night of some sort soon followed in her practice. Last Edit: 21 Dec 2013 11:24 by shargrol. Anyone read enough Gangaji or Eli Bear-Jaxon (correct name?-- G's husband) to know how they describe their aftermath? Papaji's transmission seems related to the other Indian "shaktipat" -type things: powerful experience, extremely varied "integration" trajectory. In some cases, little evidence of integration ever occurring. I would say that Gangaji is pretty solidly enlightened. I've listened to a couple of dozen of her satsangs. Don't know about Eli. Papaji would say "just stop" or "just this" a lot, and the people I am aware of who came from his lineage meditated a lot. Not that all of them did. To me it all points to the same thing, you can see it in an instant, but it doesn't seem that many people integrate it without a certain amount of contemplative practice. 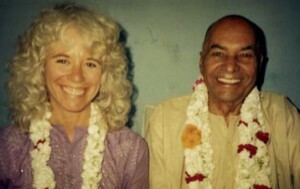 I think transmission/shaktipat is more based on a person's expectations (whether conscious or unconscious) of a guru type. I am reminded of a (non-transmission) experience I have quite often, some kind of "realization" with an emotional component, I don't quite know where to place it in the maps. It can happen in A&P, but I've also clearly had it in higher jhanas, or outside of jhana. Somehow there is a very complete spiritual/intellectual/emotional "letting go" and it results in tears of joy similar to what might be experienced from a good tearjerker movie. Ecstatic joy and release. In the vipassana sense aka MCTB, stream entry is the very first time that you see that what you thought was you (e.g. could be the watcher, the vipassana'ing observer) is non-existent, is actually just more empty sensations that are not you. You perceive the emptiness of what you thought was self. From then on things feel a bit different, but not hugely. In the Advaita sense, SE is the first time that a person stops identifying with the watcher, the thinker, something that lives in the body (the small self), and instead makes the identification with the Big Self - timeless, unchanging, eternal, Awareness, aka God, Brahman. Generally, people after making this realisation cloud in and out of this state, oscillating between re-identifying with the small self, just like in MCTB 2nd 3rd path where the sense of watcher, centre may oscillate in and out. My opinion from talking to 3 people who did awakening in this way is that this first advaita SE moment is more like an MCTB 2nd or 3rd path in terms of what damage it does to the self. However it is important to note that awakening in the advaita sense does not contain the same thoroughly empty aspect of vipassana style mctb 4th path awakening (as the ego still identifies with Self-as-Timeless-Awareness). Since I have not done both, I can't tell you experientially what this difference feels like. Anybody else suspect that the ecstatic/hysterical woman in the video is in fact Gangaji, back when? Didn't see this thread til now cos the title doesn't really describe it, but I think it's an interesting one. I'm extremely wary of 'mapping' experiences across traditions (and, if a comparison of similarity is to be made, I personally like to see some primary sources or references, so as to get a sense of what that tradition itself would describe as the experience in question - just cos then you get a comparison from the traditions' perspectives without the danger of an accidental perennialism, if that makes sense). Let's say, this is a total YMMV, but the classic Mahasi/MCTB 'blip' (which I experienced only at 2nd Path) didn't seem to me to be an insight into not-self any more than sleep is (a period of time when the self is 100% gone). And even my SE experience, which was more like a short but intense A&P (I didn't think it was SE at first, but Beth confirmed it as such when I spoke to her), didn't seem to me to give me any experiential knowledge that I hadn't already seen about the nature of self from travelling through the nanas (especially A&P and EQ). It was more like an 'event moment' which was a marker of a process of transition, rather than an experience that in itself brought about a seeing-and-knowing that hadn't been there before. I was very dubious about Gangaji because she seemed like such an industry but her work is good, though I'm not sure how helpful it would be to people in early stages except those who are, let's say, 'liable to awakening' for whatever reason. Eli I can't hold up as a model of a teacher or an awakening that I'd want after his behaviour with students and infidelity. My personal favourite of the loosely 'neo' and Direct Path (a nice but meaningful distinction) teachers is Greg Goode - in relation to this thread, here's a short piece of his on 'progressive vs direct path' teachings. But the tension between people who are classical Advaita adherents and the neo-Advaita people is very interesting and touches on lots of issues we discuss here. There's a great series of discussions at Dennis Waite's website. Last Edit: 25 Dec 2013 18:14 by shargrol.